The piece of solid titanium offers 5 functional tools for your everyday carry. If you like the idea, let’s go on for the Machine Era titanium multi-tool. The Machine Era is an ultra compact 5-in-1 multi tool that measures 2.5 x 1 x 0.125 inches and weights 0.4 oz. 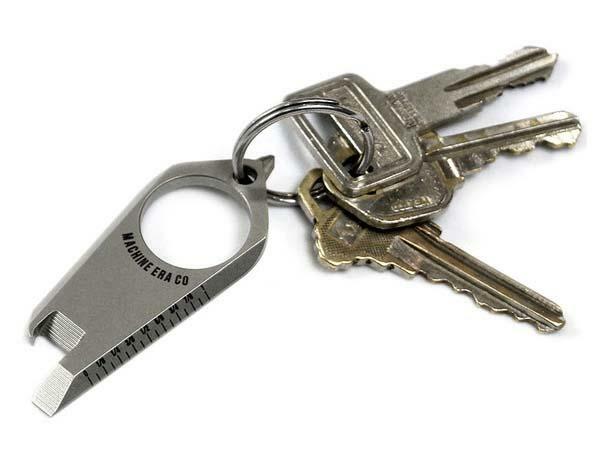 As we can see from the images, the multi-tool shows off a minimalistic, key-sized design, and using a small hold, you can easily attach it onto your keychain in order to keep five practical tools with you, including Phillips head screwdriver, flathead screwdriver, bottle opener, pry wedge abs 1″ mini ruler, and built-in finger grip lets you conveniently utilize the multi-tool’s functions. Moreover, the multi-tool is machined from a solid black of 6al-4v titanium for lightweight and incredibly strong construction. The fundraising campaign is in progress. 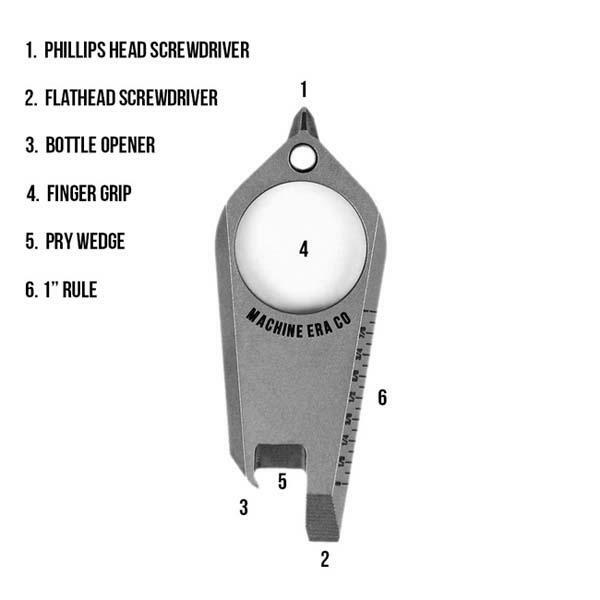 Pledging $32 will let you own the 5-in-1 multi-tool. If you need it, head to Kickstarter official site for more detailed description.